Determining the value of an antique or artwork isn’t for the faint of heart. It’s often said that beauty is in the eye of the beholder, and it’s certainly true that folks are willing to pay wildly divergent sums for similar—or even identical—works. That’s why it’s so critical to rely on a trusted authority to evaluate and assign value to potentially valuable items. Brokers fit this bill. A broker uses sales histories, authenticity, quality, information about the manufacturer and other metrics to assign value to individual antiques, works of art or precious metals. As the name suggests, they act as an intermediary between buyers and sellers of these items, providing a fair price to the seller and charging a reasonable fee for their services. Without a broker to fill this role, it’s likely that the market for art, antiques and precious metals would be far less liquid and far more difficult for laypeople to navigate. Where Can You Get the Best Price for Your Item? It’s also important to know where to get the best price for your item. It’s generally not advisable to take a fine work of art to a pawnbroker. These businesses earn profits by providing “lowball” estimates to sellers and charging significant markups. Instead, work with a trusted broker who can connect you with a reputable dealer and give you the best possible chance to maximize your earnings. No matter what treasured items you have in your home or place of business, you deserve to get the best possible value for them. At Premier Gold Silver & Coins, we proudly evaluate your gold, silver and antiques to determine how best to compensate you for them. 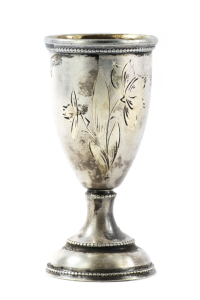 Since we understand the emotional connection that many of our clients have with their heirlooms, we take the utmost care to respect them. To learn more about what we do, call us at (716) 204-8800, visit us online or stop by our convenient Cheektowaga location.